If you are a JIRA administrator managing small-to-medium JIRA instances and want to learn how to manage enterprise-scale instances, then this book will help you expand your knowledge and equip you with advanced skills. Prior understanding of JIRA core concepts is required. JIRA is an issue-tracking tool from Atlassian and has gained immense popularity in recent years due to its ease of use and, at the same time, its customization abilities and finely grained control over various functions. JIRA offers functionalities for creating tasks and assigning them to users and many useful add-ons can be added such as JIRA Agile for Agile tracking and Groovy scripts, a powerful tool for administering customizations for customizations. This book explains how to master the key functionalities of JIRA and its customizations and add-ons, and is packed with real-world examples and use cases. 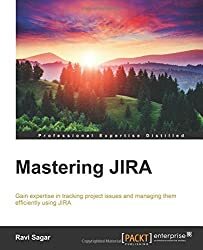 You will first learn how to plan JIRA installation. Next, you will be given a brief refresher of fundamental concepts and learn about customizations in detail. Next, this book will take you through add-on development to extend JIRA functionality. Finally, this book will explore best practices and troubleshooting, to help you find out what went wrong and how to fix it.